When I think about growing up in the '90s, I think about my collection of Beanie Babies I swore would be an investment, along with my virtual pet Tamagotchi. It may have never lived, but my heart was in the right place. These items are things I naively thought would be in my life forever. They came before I understood the non-static nature of trends and growing up. Now when I think of the '90s, I’m faced with both the wave of nostalgia and this question: What was I thinking? Beyond the number of styles and toys the '90s bestowed upon us, it also was a time for quality media consumption. If you grew up in the '90s, you know how good television was. Before streaming services or fast internet, you could count on a solid lineup on Friday nights on ABC. These were the kind of shows you’d arrange your day to watch or stick a VHS tape in the VCR to record. 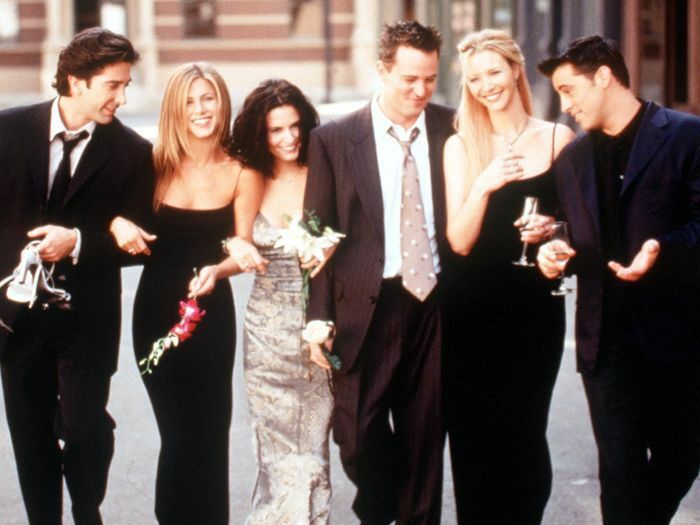 Fortunately for us, Netflix has resurrected a number of our favorite TV shows from the '90s, so you can binge them without commercials or having to wait a week between episodes, like when they first ran. Whether you're a '90s kid like me or not, you'll love these '90s TV shows on Netflix right now.